The Aeon Wall mount by Tech Lighting is a dynamic modern interpretation of a tree branch and adds a sleek and sophisticated look to any space. The elongated arm can be moved up or down for dramatic lighting effects. 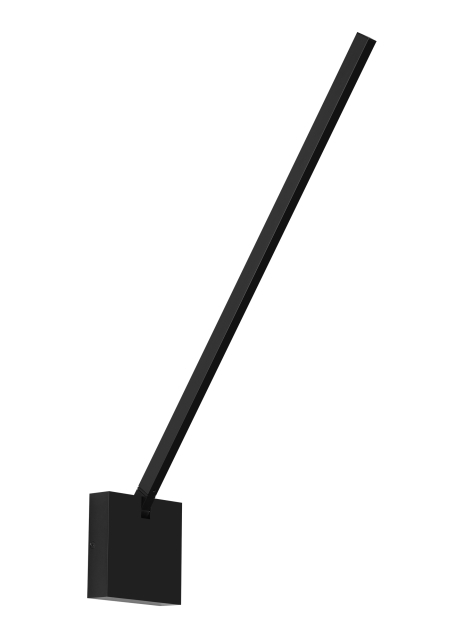 Features direct or indirect light that rotates 180° by aiming the arm up or down for minimal glare and optimized light. The Aeon Wall is ideal for hallway lighting, foyer lighting and bedroom lighting flanking two vanities. Match the Aeon Wall to your precise taste by choosing from one of two on-trend finishes. The Aeon can carry into other areas of your space as this collection is available as a pendant, flush mount, sconce and linear suspension. The integrated LED lamp is fully dimmable to create the desired ambiance using a low-voltage ELV or Triac dimmer.